Why Recycle Oil and Filters? Adobe Reader is needed to view PDF documents. Download Adobe Reader for free. The Department of Resources Recycling and Recovery (CalRecycle) has an enormous website filled with resources about used motor oil recycling. There is some basic information at www.calrecycle.ca.gov/UsedOil/ including a link to a database of used oil recycling locations that can be searched by zip code, city or county. The US Environmental Protection Agency has a campaign to encourage recycling of motor oil called “you dump it, you drink it.” There are various resources including art for download and publications in English and Spanish. 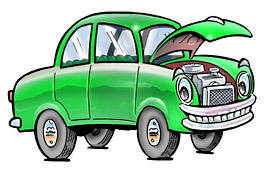 www.about.com: type “oil change” into the search window to find articles on changing oil in a car or motorcycle. Most car owners change their oil more often than necessary. Your students who have their oil changed at a service station as well as those who change their own can save money by following manufacturer’s recommendations rather than changing every 3000 miles. Detailed information is at www.3000milemyth.org. www.earth911.org has all kinds of environmental information including locators searchable by zip code. There are also articles on many topics, and an events listing searchable by zip code. The Northern California Recycling Association www.ncrarecycles.org is a professional organization of people in the recycling field. The site includes an excellent page of “Resources” with links to regional, state, and national information. There’s a delightful animated video called “The Story of Stuff” at www.storyofstuff.com. It, and other recent additions “The Story of Electronics,” “The Story of Bottled Water,” and “The Story of Cap & Trade” can all be viewed online, or downloaded. Note that it can be ordered in many sub-titled languages including English. A set of ESL lessons on environmental topics is at www.eslflow.com/environmentlessonplans.html.